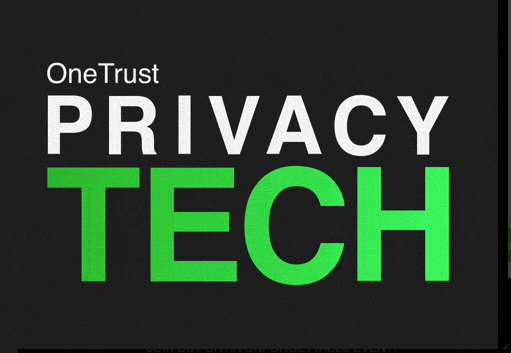 OneTrust has officially launched PrivacyTECH, the leading event for privacy technology. The global user conference, taking place at Hotel Novotel London West on October 8-10, will bring together over 500 industry leaders to discuss the latest technology innovations that are driving global privacy compliance. Attendees will experience three action-packed days of keynotes from top industry thought leaders, in-depth technology sessions, a privacy expo and networking events covering the EU’s GDPR, the California Consumer Privacy Act, as well as other global privacy regulations. In addition to over 40 educational sessions covering a wide range of topics from new technologies, operational best practices and tips for implementation of tools, OneTrust’s best-in-class privacy experts will be available at the conference for in-person meetings. Ask an expert: Get answers to your most complex mobile deployment questions with one-on-one access to OneTrust experts. Customer Advisory Boards (CAB): Dive deeper into OneTrust’s products for an exclusive view into the roadmap and input into our strategy. Partner workshops: Continue to ensure your profitability as a OneTrust partner with exclusive educational and networking opportunities with OneTrust experts and executives. OneTrust TV: Watch live interviews with industry leaders and privacy experts. Country Chats: Network with others from your country on local privacy laws. Awards: Get recognized for your innovation in privacy program with a Privacy Award. OneTrust Store: Stock up on your OneTrust swag. On day three of the conference, optional OneTrust certification workshops will be available to deepen attendees understanding of OneTrust’s technology and earn OneTrust certifications. The certification course features lectures and hands-on exercises across the OneTrust platform to understand how organizations use OneTrust to demonstrate compliance with global privacy regulations. OneTrust PrivacyTECH is a focused user conference event for privacy practitioners, and we are excited to bring together our customers, partners, technology vendors and other industry leaders together to discover and discuss privacy tech tools and best practices. See you there! To learn more, read our press release and visit our webpage. To stay up to date on conference news, check out OneTrust’s Twitter, LinkedIn and Facebook.